New book, some shelf wear to jacket. 336 pages. 52 illustrations and photos. 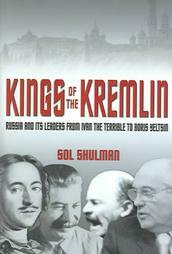 Those seeking new insights into Russia and its leaders will gain much from the account whilst historians and students will find a wealth of information on the 850 year history of the Kremlin, and the remarkable characters who ruled it.